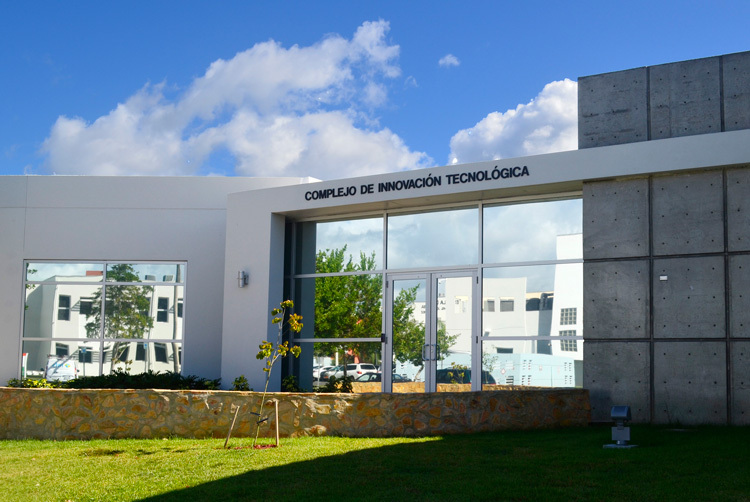 Our facilities are located in Gurabo, Puerto Rico, at the main campus of Universidad del Turabo, adjacent to the School of Engineering. The main building is surrounded by several demonstrative installations, including a 60 Kw photovoltaic array. Five laboratories are located in the building and are complemented by other research facilities located across campus and at other partner universities. Energy Consists of a highly specialized scientific chemistry and materials laboratory with related equipment that is used to conduct hydrogen research on production, storage, utilization and sensors and fuel cells; as well as membranes, fabrication, mass transport, surface properties and electrochemical diagnostics. Contains state of the art equipment for characterization of materials using the following techniques: X-ray diffraction, infrared spectroscopy, electronic microscopy. Among the key equipments available is a DH Advance X-Ray Diffractometer (NSF grant MRI0959334), and a JEOL Electronic Microscope. This lab supports a wide range of projects for the development of renewable energy. These include: long term efficiency of solar panels, and improvement of panels manufacturing techniques. SOLARIA® is a 1,250 sq. ft manufactured home which is used in sample testing for the residential housing industry. Our unique characterization equipment allows us to provide services to perform multiple tests on materials which include: phase analysis of multiphase samples, particle size and distribution, stain of particles, cell parameters measurement, space group determination, Miller Indexing, structural deformation, and specific surface area.